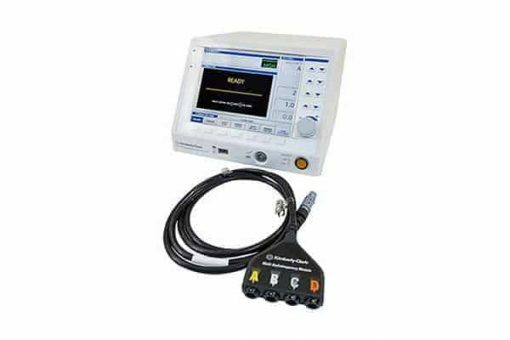 With an RF Lesion Generator engine that produces 50 Watts, the Kimberly Clark Pain Management RF Generator can output an average of 12.5 Watts to four (4) channels (or 16.7 Watts to 3 channels). The Multi-RF Module can be used with any cannulae sizes and tip lengths at any sites to create 1, 2, 3, or 4 lesions at the same time. There is no need to change the settings on the Kimberly Clark RF Generator if you change the number of electrodes being used. Simply plug-in one, two, three, or four Radiofrequency electrodes and the pain management RF generator automatically senses the change and makes the necessary adjustments. A good reliable 4 channel radiofrequency generator for pain management procedures. The interface is easy to use. 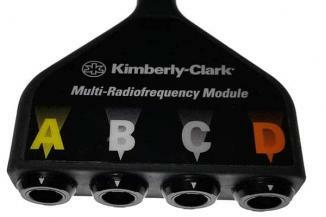 It is less expensive than most of the other 4 lead radiofrequency systems. Some pain management physicians prefer an RF generator with a touchscreen interface.